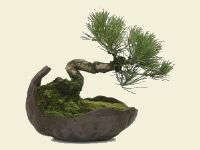 Raisio Bonsai and Garden has been born from our own interest in Bonsai and Japanese Gardens. 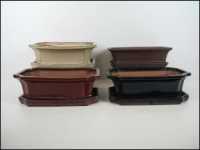 Our aim is to offer bonsai pots, bonsai tools and specialist bonsai products for all levels of bonsai enthusiasts. We hope that through this website we are able to grow the interest of bonsai making as a hobby in Finland and other neighbouring countries by offering affordable products to help start and then maintain the interest. As well as the range of bonsai products we will offer garden products, either standard, unique or with an oriental theme. The catalogue contains all products available to order from our website. These include products you need to make and grow your own bonsai, from bonsai pots, bonsai tools and specialist bonsai products. There is something for all levels of bonsai enthusiasts, from beginners to the more experience enthusiasts. In addition to the bonsai products you will find a selection of products for the garden and home. The catalogue also includes interesting information about bonsai and a guide to selecting the correct size, shape, style and colour bonsai pot. Simply click on the image below to open and download using the download button from the top menu. What you can expect from Raisio Bonsai? An easy to use online internet shop. Ongoing sourcing plan to find relevant products to add to our shop. Delivery to all countries within the European Union. Direct and professional service combined with a personal service to achieve our 100% satisfaction guarantee.